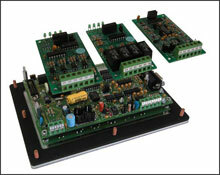 ASD has extensive experience in writing special application software & designing custom hardware for automation systems. We provide one stop shopping solution for all your automation needs. ASD is a Systems Integrator company in the true sense. We bring practical experience and engineering expertise in all aspects of an automation project from sizing and selection of sensors, interfaces, transducers, motors, valves to programming servo controllers, PLC’s, Drives, Multi-loop Process Controllers, PC’s and last but not least provide superior installation and start-up services. We have a good understanding of the industries we work and a wide knowledge of rules and regulations that are involved. That is why we are confident that we can provide one stop shopping solution for all your automation needs. Copyright © 2005 ASD Automation. All Rights Reserved.